Strange Noises. Hums, gurgles, groans, thrums or any other noise you don’t normally associate with your water heater should be treated seriously. No Hot Water. A lack of hot water or water that is insufficiently warm may have numerous causes, though it’s not usually hard to spot. Hot Water Runs Out. Similarly, if you find the hot water in your pipes running out more quickly than it should, you’d best contact a plumber. Rust-Colored Water. The anode rod in your water tank prevents rust from forming on the sides of the tank. It needs periodic replacing. If rust forms, it’s usually a bad sign, and by the time it affects the color of the water from your tap, you may need to replace the entire water heater. Puddles can come from anything from a loose fitting in one of the water pipes to a breach in the tank itself. Small breaches can seal again when the water in the tank cools off, making them difficult to spot. Puddles around the base of the water heater are a sure sign of trouble. The best way to prevent problems with your water heater is to schedule maintenance for it once a year from a qualified plumber. They can go over the system looking for any signs of a problem, as well as engaging in preventive measures such as replacing the anode rod and flushing the tank. 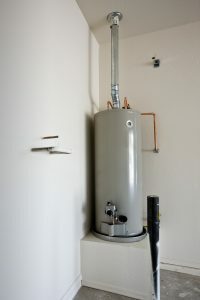 When applied regularly over time, it can help extend the life of your water heater, as well as minimizing the risks of any serious problems arising. For quality water heater maintenance and repair in Bay Village, OH, call Westland Heating & Air Conditioning today!